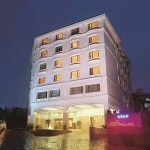 Most of the high class hotels and restaurants in Kochi provide food items such as Chinese fast food and continental dishes. The native and foreign tourist will not find any difficulty in locating a hotel or restaurant and having their chosen food item for breakfast, lunch and dinners. There are a good number of coffee shops and road side local Dhabas that provide tea, coffee, lassi, roti or chapathi with spicy hot curries. The local hotels and restaurants also provide Cochin cuisines comprise an impressive assortment of mouth-watering vegetarian and non-vegetarian delicacies, having a distinct taste and flavor. You can taste ‘pachadi‘, ‘thoran‘ or ‘kaalan‘, while eating out in Cochin. As bananas are found in abundance here, it happens to be a very crucial ingredient in the majority of Cochin cuisines. Kallappams or Vellayappams are traditional rice flour pancakes eaten during meals in Cochin. There’s also a host of dishes made of chicken, lamb and fish. Apart from these, there are also many fast food eating joints in Kochi like Pizza Hut, Chic King, Hot Breads. Fort House Restaurant– Famous for Sea food . Average price b/w Rs 280- Rs 600. Food seved in Jetty. 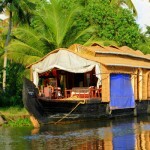 The Rice Boat– Seafood here are famous with real taste of Kerla Spices. Quality food with good service. 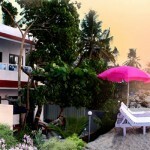 Ginger House– Beautiful Sea view from this place and offers exotic ginger tea. Indian foods are on the menu list. Dal Roti– Family restaurant and offers South as well as North Indian Cuisine . Real taste of Kerala Style. 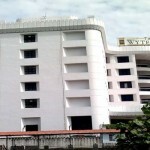 Grand Hotel Restaurant– Offers Delicious Indian Food of Kerala Style. Booking facilities are available here. Casa Linda– French and Indian foods are served here. Food items are at reasonable prices. 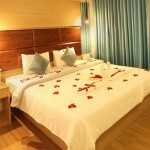 Old Harbour Hotel Restaurant– Famious for Couples , romantic place and enviroment. Near Fort Kochi must visit restaurant. Indian foods with Kerala Style are served here. Solar Cafe– Cheap and good quality food taste. Snacks, Chinese, Indian foods are available here. Malabar House– Cheap and Quality Keala Food items. Sevice is quite average but food is good at reasonable rates. Masala Fort– Offers Continental Foods, and also offers Free Wi Fi also. Talk of the Town Restaurant– Indian restaurant with quality food and service. Frys Village Restaurant– Vegetarian Restaurant with Kerala dishes . Genuine Kerala Dishes are available at reasonable prices. fish ‘n’ chips– famous Multi Cuisine Restaurant offering Chinese, Indian, Italian, Lebanese Dishes of great taste. Master’s Art Cafe– Great Indian Food available here. Quality service. Shappu Curry– Kappa (tapioca)& fish curry, duck roast are famous here. Good tasty food available here at very reasonable price. Itty’s– Good place to taste Coffee and Pizza. Price are reasonable here. 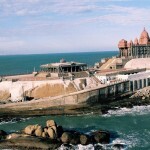 Indian Coffee House– Offers delicious South Indian Foods and some of the Best Coffee you have tasted. Ming’s Wok– Offers Chinese Foods of Great taste and Sweet Corn Chicken Soup is must to taste dish they make out here. 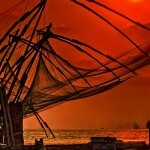 Rossitta Garden Restaurant– Famous for Seafoods and also Traditional Kerala Foods. Bake My Day– Good Coffee Point to enjoy and Bakery too. banana chips, Tapioca Chips, diamond cuts and other snacks are available. Tandoor Restaurant– Expensive but Good Food containing Indian Items. 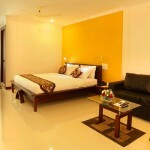 Dolphins Point-Located along Backwaters its a romantic place to go for. Oberon Food Circle– Excellent place to enjoy quality fast foods and Non Veg Items. Offers American Dishes. Sian Pan Asian restaurant– Offers Asian Food Items. excellent decor with quality food. Also check out INCHINO restaurant in Kochi. A fantastic Chinese restaurant serving stunning chinese dishes! During lunch time, service is quick, so you can take that lunch break to enjoy a super Chinese lunch if you are around the Kaloor area in Cochin. Food is indeed value for money! Located on the ground floor of the New Indian Express Building at Kaloor (on the main road), ample parking available too. Contact 0484-6453080 for more details.